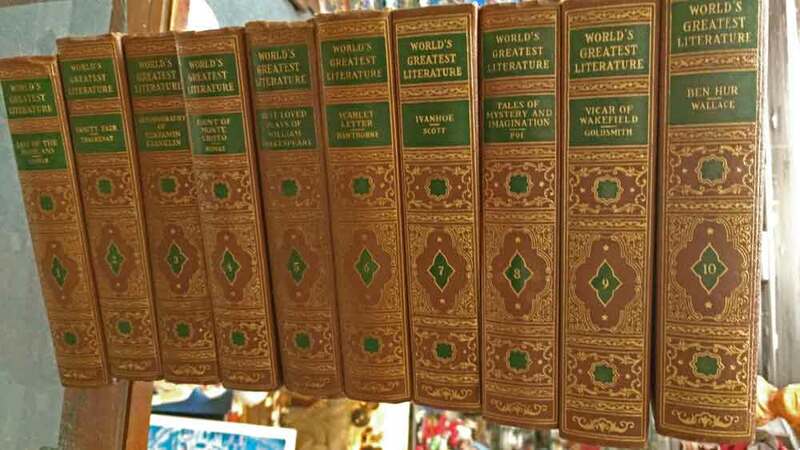 We have a set of 20 volumes of the World’s Greatest Literature in excellent condition. This beautiful set by Spencer Press is from the 1930s. Someone on your Christmas list will cherish this gift. In doing a little research, we learned a bit about Spencer Press and the marketing of the World’s Greatest Literature series. 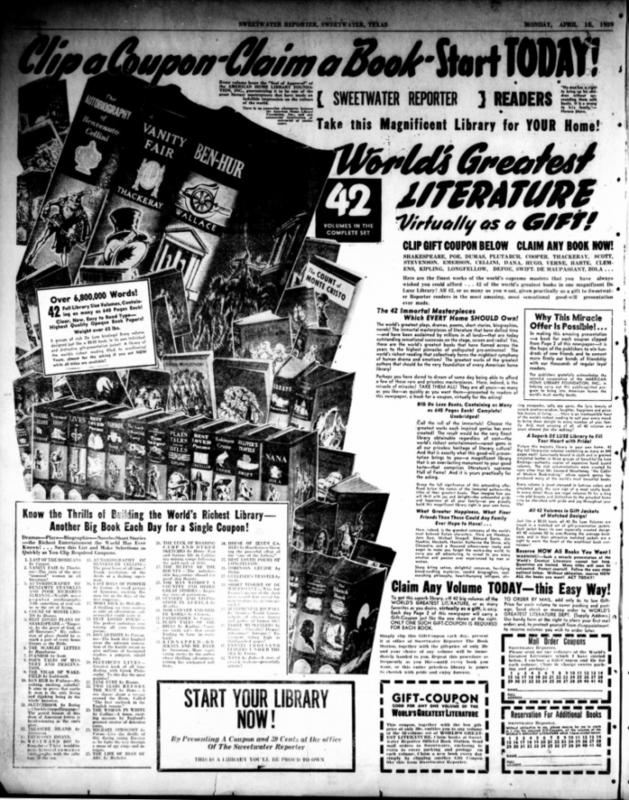 The World’s Greatest Literature series seems to have been sold in the late 1930s and early 1940s, as shown in the newspaper advertisement near the beginning of this entry. The history of marketing affordable books of World Literature in the early 1900s has a colorful history. We’re probably much more familiar with these tactics today. Here’s a quote from this colorful history from the SeriesOfSeries website. Finally, the series is affiliated with the “American Home Library Foundation” which is portrayed as a charitable literary foundation, subsidizing the series to promote the reading of the classics. Together, the binding, the series name, and charitable literary foundation worked to convince potential book buyers that the Spencer Library was an opportunity they could not miss. That’s the spin: to sell copyright-free literary classics with dubious and fraudulent methods to gullible working and middle-class consumers who wanted to be at least perceived as a bit literary and intellectual. No matter the tactics, we have this beautiful 20 volume set that is perfect for the right person! Do you know someone who would love this gift? If so, drop by Bahoukas Antique Mall today and grab it before the set gets broken up! And yes, we will be watchin’ for ya!